Alanda July 14, 2017 14 Comments This post may contain affiliate links. We’ve been using our ScanNCut machines for a number of years now and we have a lot of mats all in varying stages of stickiness. Hey, its part and parcel of owning a ScanNCut. Honestly though, I figure that I am already saving money since I don’t have to pay for additional dies with this machine. So buying a new mat every now and then doesn’t phase me. Even so, we like to find ways to extend the life of the mat and as a result, we are yet to throw any away. We still have the original we got with the first machine. Although to be honest, we really should toss it in the bin, but not because it’s not sticky enough, but because there are so many cut marks on it that it is affecting the quality of the cut. We have a number of methods that we use to extend the life of our mats but we have found that one of our favourite ways for making our mats sticky again is by using a Zig 2 Way Glue pen. 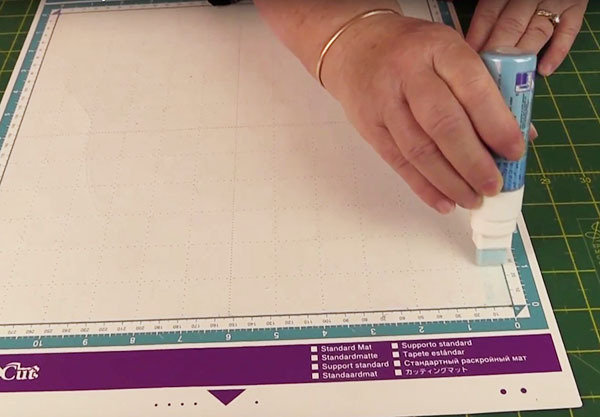 When applied it creates a sticky surface that is perfect for the ScanNCut mats. Now if you are thinking that this is just another added cost, first of all the glue is under $10 (and I have also seen it for under $5 on Amazon). So it’s not a huge expense. Just keep in mind that a Standard Mat is around $20 in the US and around $30 in Australia so for under $10 it’s worth it to keep those mats going for a bit longer. So How Do You Use the Glue? You simply apply it to the mat by running the glue in strips horizontally and then vertically. Watch the video below to see this in action. You don’t want to use too much however because then it can become way too sticky and you will get your paper sticking to the mat. You only need to reapply the glue when the mat starts to lose its stickiness again. So far, we haven’t had to reapply the glue to any of the mats we have used this on. WHERE CAN YOU BUY ZIG TWO WAY GLUE? Thanks girlies, love getting your tips from “OZ” already done the Zig thing, excellent. Keep the tips a coming. Take care you all. Thanks Shirley. More tips on there way. What if you need your mat to be less sticky? I live in so GA. Atrocious humidity. So remnants of my paper and cardstock frequently stick to mat no matter how careful I am in removing them. Thanks ladies. Have ordered some Zig. Love my SNC! Appreciate all your tips n instructions. Super! Thank you Cyn. Love the sunglasses and palm tree. We have started winter here in Oz so temperatures are starting to plummet, roll on summer. 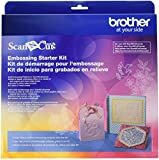 So happy to hear you love your ScanNCut, it’s such a great machine. The new DX Machines require the use of the DX mats only. What is the difference and why? Good question Eleanor. We still don’t have the machine yet – hoping for next week – so at this stage we don’t have all the answers, but it will be one I will be looking into. Does the zig thing work for fabric too? It could potentially work but I would be a bit loathe to use it because it is a glue and I wouldn’t want that on my fabric. Instead you can try using 505 spray. It is made for fabric. We spray the back of the fabric and then lay it on the mat. So we don’t spray the mat itself, just the fabric. You only need a very light spray. need info on how to put the cover on the blade holder so it starts with the 1 not somewhere that I cannot figure out what number I am actually on. I do not see a tutorial for it anywhere. Are you referring to when you are changing a blade and putting the bottom part back on? If so, I normally just wind it back on until it hits the 12 mark and then move it back to the required blade depth that I am after.